Are you a scoffer or a watcher? Do you long for the world, or do you long for His appearing? 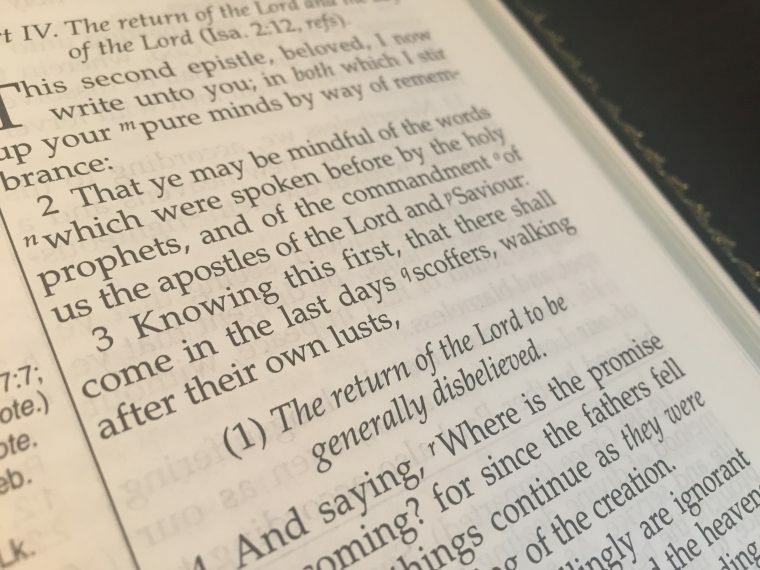 The Bible tells us in the last days there will be scoffers. What are they scoffing about? They’re scoffing at the idea Christ will be returning soon. I encounter people like this all the time. You tell them we are approaching the last days, you tell them Jesus is coming soon and they scoff. I get the same old line, “Well, people have always believed we are in the last days.” Just like Peter prophesied. To be honest, I know very few Christians who are interested in talking about the return of our Saviour Jesus Christ. Sadly, it seems they love the world more then they long for His appearing. You tell them it’s time to get ready, and they take it lightly. Jesus told a parable about a similar situation in the book of Matthew. They have a career to worry about, kids to raise, or a goal or dream they are busy chasing. They can’t be bothered with the idea they need to be alert, watching, waiting and praying for the coming King. That is why Jesus warns us to be ready, lest He comes like a thief, and take us by surprise. As for the few who are paying attention, who are watching, who are longing for His coming, I have great news for you. According to the Scriptures, all who delight in the coming of our Lord, will receive a crown of righteousness. Not only that, look at what Jesus had to say about those servants He found watching. Again, I ask you. Are you a scoffer or a watcher? Do you long for Him or the things of this world? I always enjoy your articles and scripture readings. God has His hand in you. This was the first thought that came into my mind as he was being sworn on Jan. 20th. I can just visualize Satan standing before God stating. “You let Trump win the election and I”ll show you 75-85% of your children believing that he is your servant called up to bring peace and prosperity to America and back living under your blessings. I can feel my carnal man wanting to jump on the band wagon with all the other Christian’s and say we’ve a got reprieve from God’s judgement but my sprit man is saying, stay focused on Jesus, He is the only one that can delivered us out of this sinful decaying planet. God Bless You Brother, keep His Word flowing!